Tenuazonic acid is a natural mycotoxin, inhibitor of protein synthesis. Tenuazonic acid is offered as its Cuprum salt. The proper CAS Registry numer is 12427-40-6 while 610-88-8 is assigned to the the free acid form of Tenuazonic acid. 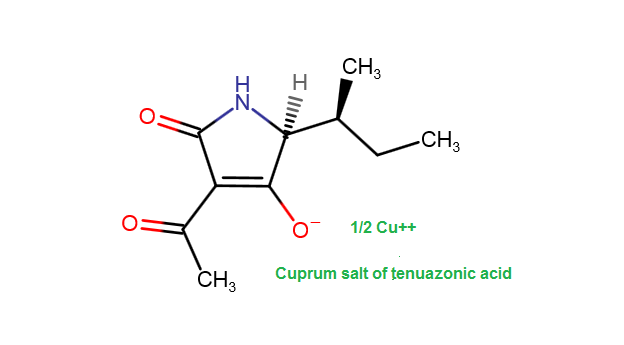 Tenuazonic Acid Copper Salt is an antineoplastic agent and mycotoxin. It Inhibits protein synthesis, though which it has been shown inhibiting TPA-induced ornithine decarboxylase activity. Lack of ornithine decarboxylase has been shown to eventually cause DNA damage induced apoptosis. 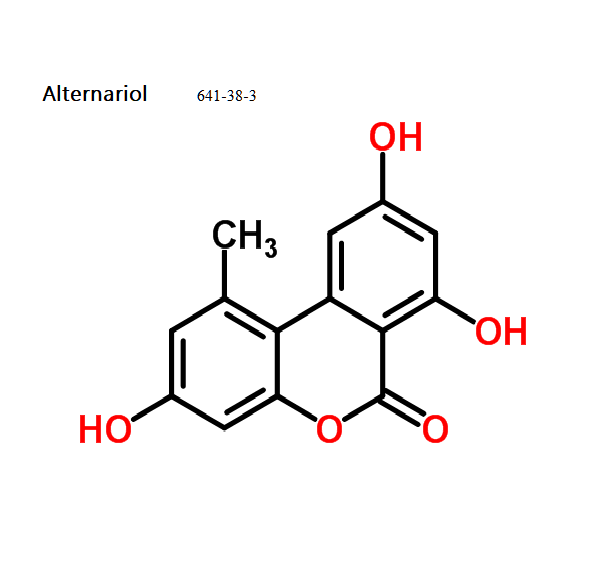 It has also been shown to inhibit photosystem II.